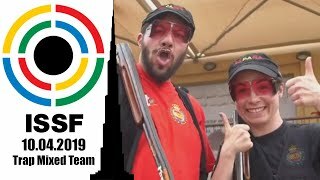 ISSF - Nanjing 2014, Day 3: Women's 10m Air Rifle | Who can stop the baby champion? 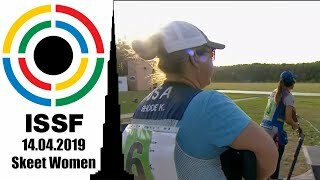 Nanjing 2014, Day 3: Women's 10m Air Rifle | Who can stop the baby champion? 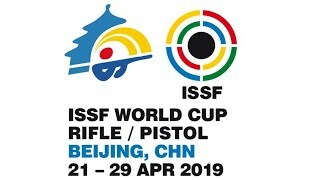 Martina Lindsay Veloso, a 14-year-old rifle shooter from Singapore, recently became the youngest ISSF World Cup medallist ever, as she won the 10m Air Rifle Women event in Munich last June. Serbia's Andrea Arsovic, a six-time World Cup medallist who came third in that final, was shocked by the incredibly young age of her opponent. “Amazing,” is all that she could mutter as she was walking past her after the award ceremony. Should Veloso win the same event at the Nanjing Youth Olympics that would probably happen to all but no one's surprise. In fact, seeing Veloso at the top of the podium seems quite a likely a possibility. Women's 10m Air Rifle, the third of six shooting events at Nanjing 2014, will take place tomorrow, Tuesday 19 August 2014. The Fangshan Shooting Hall, as usual, will be the venue. The qualification round will start at 9 AM China Standard Time (UTC+08:00) and finish at 9:50 AM. The eight finalists will start competing at 11 AM. Among the twenty athletes who will try to make it to the final, Veloso is the only one who has ever won an international event as a Senior. But as we consider Youth competitions, she is not alone. Mongolia's Angirmaa Nergui was third at the 2014 Asian Shooting Championships (ASC) in Kuwait. Switzerland's Sarah Hornung was also third, at the European Championship in Moscow, back in February this year. Kuwait's Hebah Arzouqi and Australia's Monika Woodhouse also got bronze medals, respectively at the Doah ASC in 2012 and at the Oceania Championship in 2013. 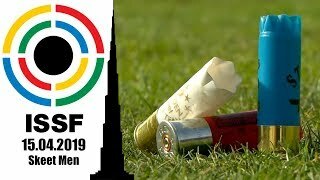 Home-shooter Pei Ruijiao of China won last year's ASC in Tehran, and Najmeh Khedmati of Iraq won one gold and two silver medals at three editions of the ASC: Nanchang 2012, Kuwait 2014 and Tehran 2013. Follow our live coverage of the event on our Twitter profile and check out how to watch the highlights.